Proudly presenting Mombo, a Wilderness Safaris masterpiece and October’s Property of the Month! Here are a few more reasons to visit Mombo… and what it is that makes this property a real Botswanan gem! Mombo is the flagship of Wilderness Safaris’ already impressive fleet. 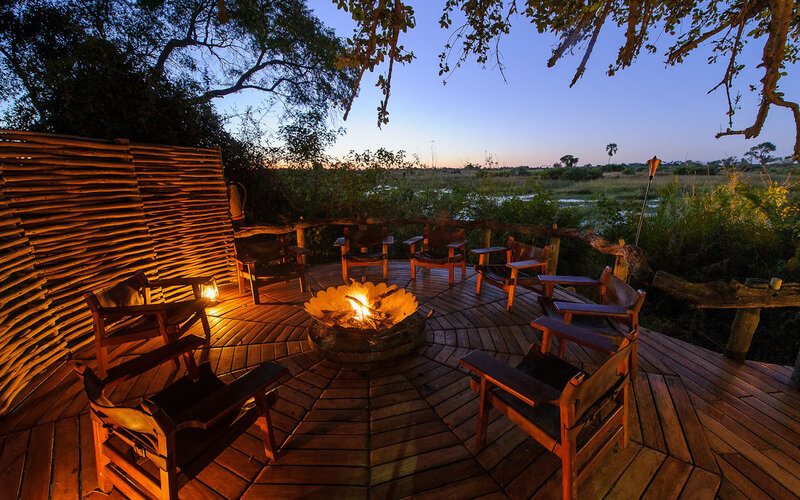 Set on a private concession on Chief’s Island in the middle of the Okavango Delta, Mombo arguably offers the best big game viewing in all of Africa. All of the big cats, spotted hyaena, black and white rhino, herds of elephant and abundant general game roam the concession in astonishing numbers. You could of course see all of this from capacious comfort and sophisticated style of the glorious Mombo suites – suites that will rival your own home for creature comforts and a sense of belonging. Mombo Camp is exclusive, extravagant and simply stunning. At the same time, much of the camp’s power is provided by a solar farm in keeping with Wilderness Safaris’ genuine commitment to conservation. 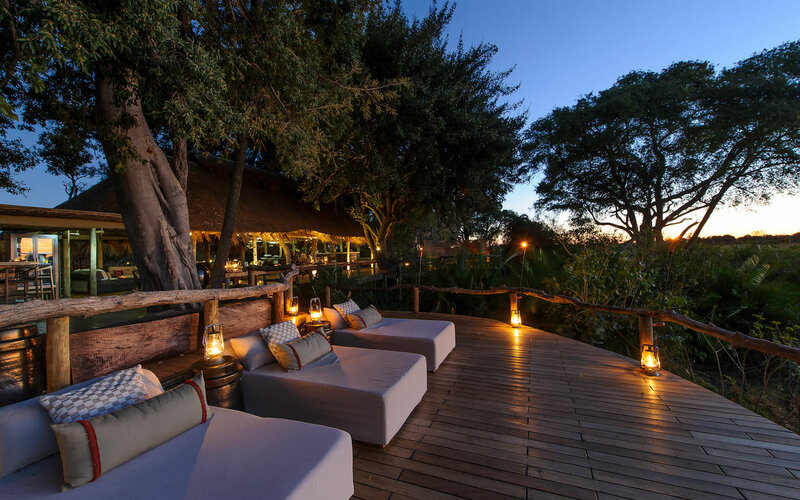 The main lounge and dining areas boast an atmosphere of inviting and contemporary African style that is unashamedly opulent while the expansive decks leading out from the thatched living area provide unimpeded views of the Delta. The two raised plunge pools offer the best possible respite from the Okavango heat while you sip your favourite cocktail. 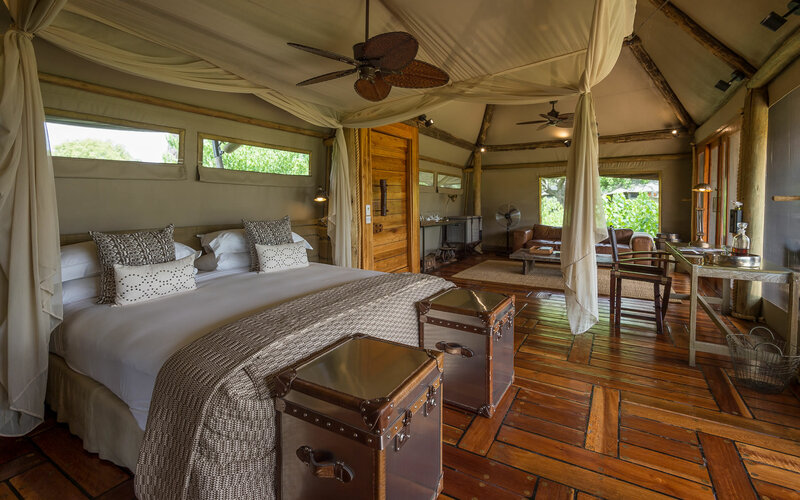 There are just nine luxurious tented suites at Mombo Camp. Each is raised two metres from the ground and linked by raised walkways so you will always feel like you are floating above the delta while the wildlife is completely unimpeded by your presence. 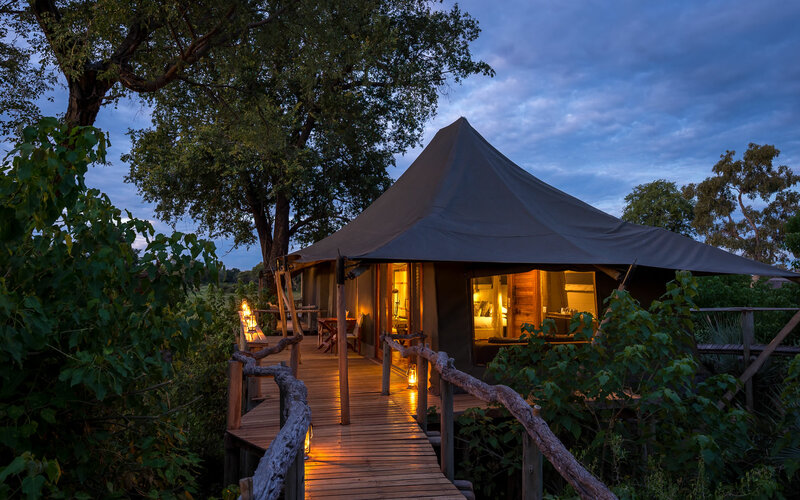 Each suite vaunts extensive private decking where you can rest in seclusion or enjoy an exquisite spa treatment from the comfort of your own thatched Sala – suspended over the flood plains of the Okavango. Inside, whether it’s from the king-size bed, cosy lounge or generous bathroom with indoor and outdoor showers, you will luxuriate in ultimately tasteful African luxury – always with a panorama of the wilderness beyond. 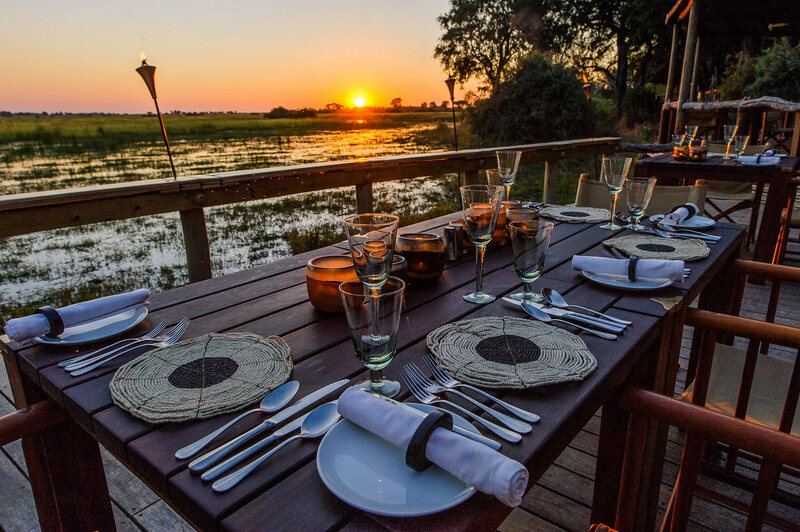 Mombo’s cuisine is an abundant collection of uncomplicated but delicious fare that can be enjoyed in the privacy of your deck, in the eerie but delightful boma or even out in the wild. One of National Geographic’s most famous films – Eye of the Leopard – was shot at Mombo. The famous leopardess, Legadima is still a constant and confiding feature of this concession as is the legendary Maporota Pride. Dawn and afternoon game drives are likely to offer you the chance to spend time photographing or simply being astonished by the beauty of Legadima and her cubs. 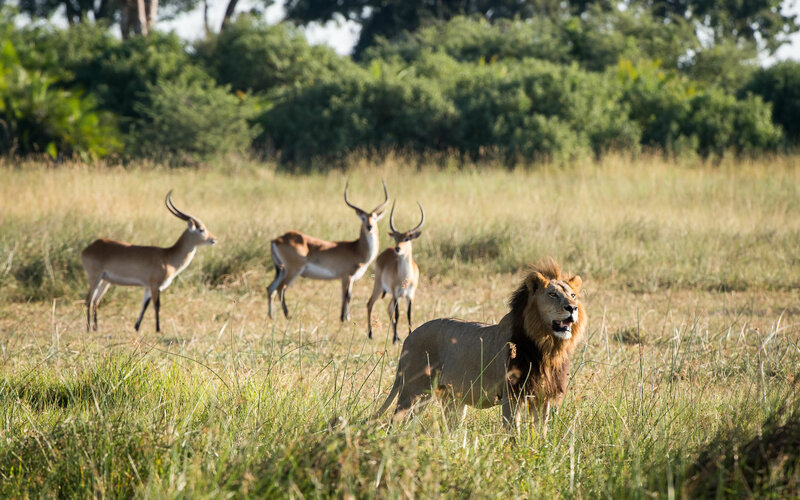 The dynamics of the awesome lion prides offer constant excitement while the huge herds of impala, tsesebe and lechwe frolicking in the delta shallows epitomise the abundance of the Mombo concession. In the quiet of the midday, you might visit the exquisite hide where you can photograph the plethora of bird life that the Okavango has on offer all year round. Wilderness Safaris has been a huge supporter of the re-introduction of rhino (both black and white) to Chief’s Island and you might spend time tracking down these ancient remnants as they seek sanctuary in the Mombo wilderness. For more on this incredible safari destination – please contact us here.